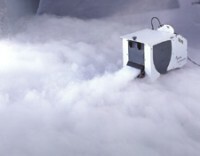 Antari ICE 100, This compact rugged Dry Ice / Low Level smoke effect machine uses Ice cubes straight from your freezer and smoke fluid, giving the amazing simulated effect of Dry Ice. Magnetic Timer remote control including 5 meter lead, Variable output, interval and duration. 10 kilo capacity ICE chamber which can last up to 12 hours or 80 minutes with constant use, uses traditional ice cubes or dry ice. 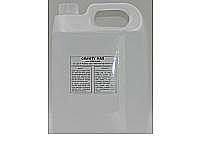 Uses both gravity fed and electronic pumping system for removal of melted ice. Built in fan activates only when machine is in use. 1000 watt heater unit capable of 10,000 cubic feet per minute when at 70% volume. Unit fitted with rear wheels for easy portability. Units can be daisy chained together for multiple units and controlled from one remote position. Dimensions: length L 617.5mm W 355mm H 359.4mm. For best results use DNG fluid, as this will self dissipate when it reaches room temperature.